Born in 1961 in Belgium, and now living in Stockholm, Sweden, much of Carsten Höller's work invites a very direct interaction. Höller's background is scientific; he holds a doctorate in biology, and often uses his training to create work which, by focusing on human responses to specific stimuli, is partly experimental, partly sensual. 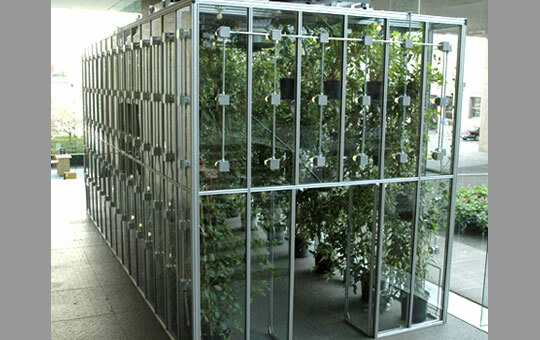 The Solandra Greenhouse (2004, above) is filled with the Solandra maxima vine, a plant that exudes pheromones capable of inducing amorous feelings. Along with strobe lighting designed to slightly disorientate visitors, the experience is meant to resemble the physical effects of falling in love.